Sitting splendidly at the end of the garden, Rachel’s Lollipop Junior playhouse has been decorated in a stylish sage green, with two pretty flower tubs at either side of the playhouse door. 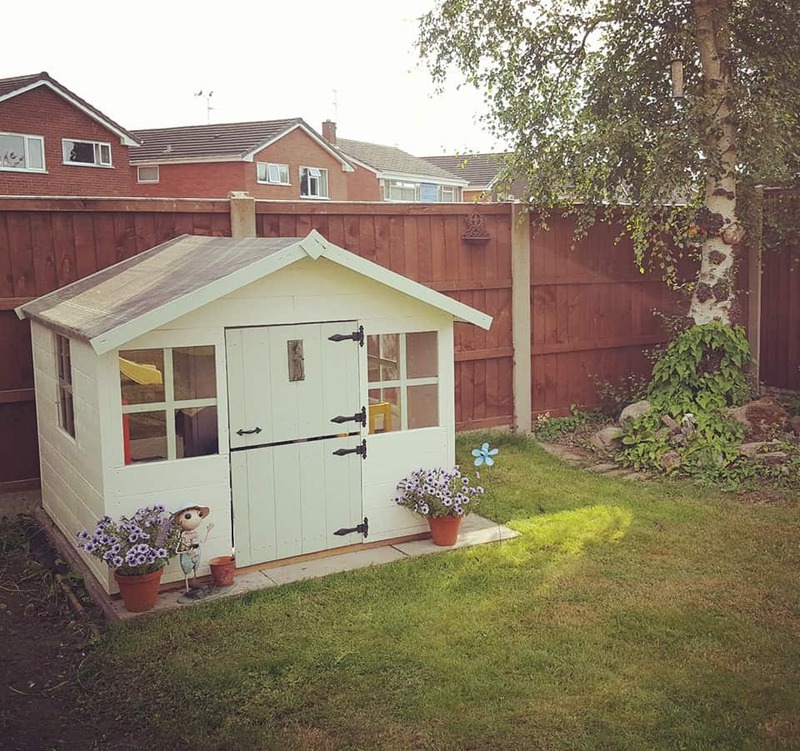 “After looking for the perfect playhouse for months for my two boys I came across Garden Buildings Direct. I saw this playhouse on the website and it was exactly what I wanted & the best price I had seen.” Rachel says. “I am a bit wary of buying from places I haven’t before but the customer service I’ve experienced with GBD has been 10/10. They delivered on time & are friendly and helpful when I had a small issue they were really quick to respond & sort it out for me.” she says. “The playhouse was easy to build. It took my partner a morning to put together (he is a handy type) & we painted it up. We’re so pleased with the final outcome & the boys love it! It’s sturdy, well made and it’s been in torrential rain and had no leaks!” she adds. “I can’t recommend this place enough, we’ll be buying our shed from them (Garden Buildings Direct) next.” says Rachel. Shop our fantastic range of playhouses and make a great addition to your garden.